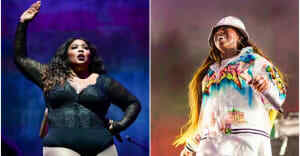 When Missy Elliott performed at the Super Bowl in 2015, it was a surprise to most as she hadn't been announced prior. But of the most shook by her performance? Missy herself. While she pulled off a pretty amazing medley of her hits "Get Ur Freak On," "Work It" and "Lose Control," apparently the industry icon was in the hospital the night before. "When I heard the beginning of Get Ya Freak On playing I was SO SHOOK," she wrote on Twitter. "I said Lord I can't turn back now." And she didn't have to! Watch the full performance below.